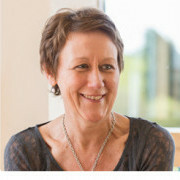 Helen has worked professionally in the field of fertility, donation and surrogacy for a decade. She is a member of the HFEA’s National Donation Strategy Group (an advisory committee of national egg/sperm donation experts hand-picked by the Human Fertilisation and Embryology Authority), one of the few international members of the American Bar Association’s Assisted Reproduction and Technology Committee, and a former trustee of the National Gamete Donation Trust. As a director of the UK’s leading fertility law firm, she has long experience managing professional services for families created through assisted reproduction, as well as supporting campaigning and policy work on surrogacy and donation. She has participated in leading international conferences on surrogacy and has an extensive network of contacts with agencies, medics and lawyers, in the UK and internationally.